Resistors are passive components in electric and electronic circuits which are used to introduce a resistance value. While resistors have their resistive value, they sometimes also have a small inductive value. This is due to the fact that the resistance elements are wound. This winding of the elements introduces an inductance. This small value may not be significant at low frequencies. However at higher frequencies and during surges which have steep fronts, the inductance value may become significant and introduce oscillations and other disturbances. In order to eliminate the inductance, non-inductive resistors are used. 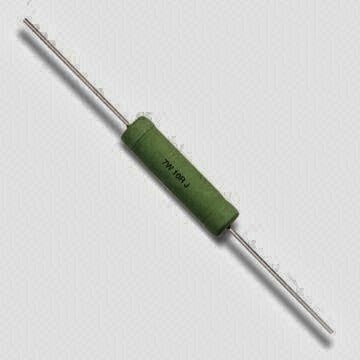 Non inductive resistors are designed in a manner that there is no inductance in the assembly. For instance, ceramic resistors which do not have a wound structure are considered non-inductive. Wound resistors can also be designed to be non-inductive by having half the winding in one direction and the other half in the other direction. This ensures that the net inductance is nil. Film type resistors are also designed to be non-inductive.